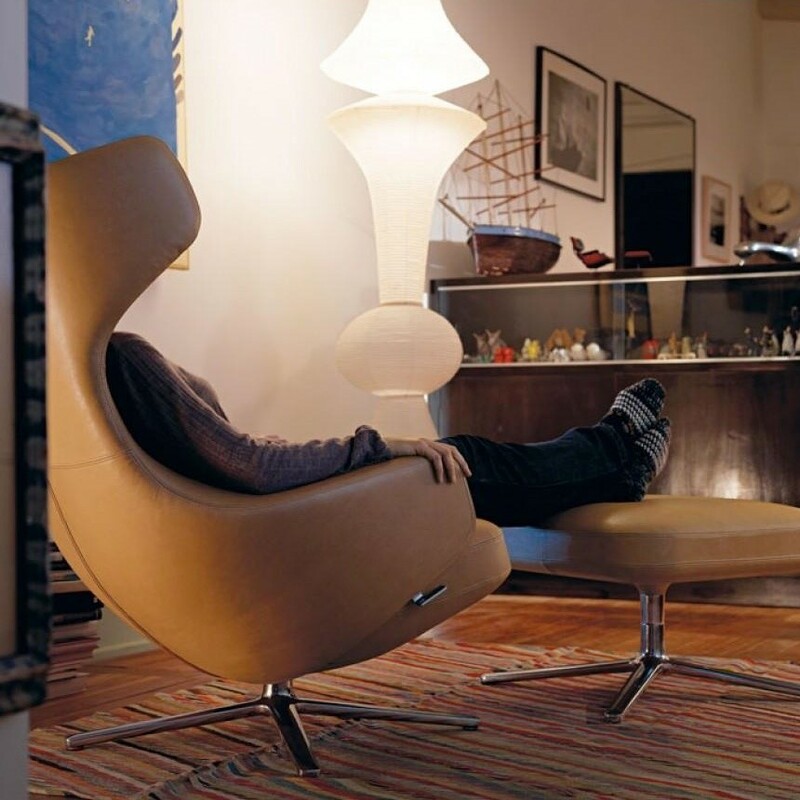 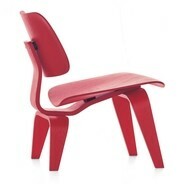 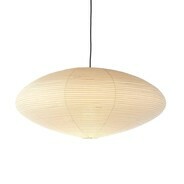 The Akari E Suspension Lamp was designed in the year 1951 by Isamu Noguchi for Vitra. 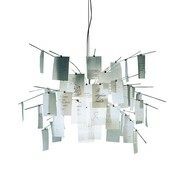 The suspension lamp Akari E is part of the Akari Light Sculptures collection that includes over 100 lighting objects! 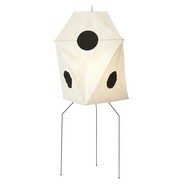 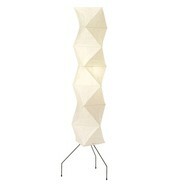 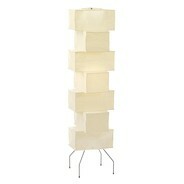 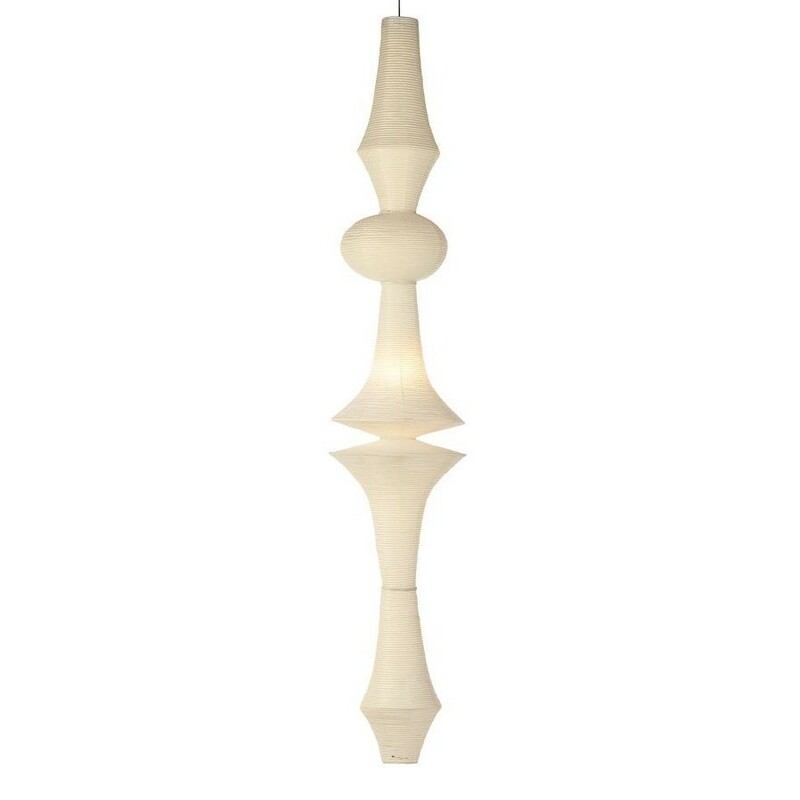 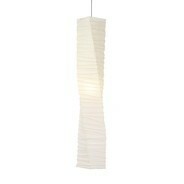 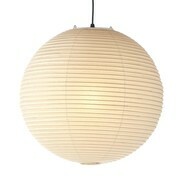 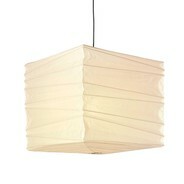 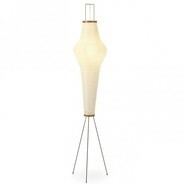 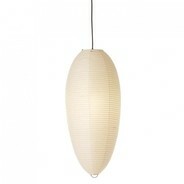 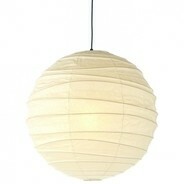 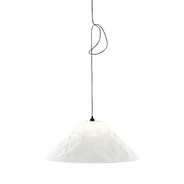 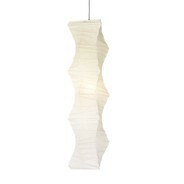 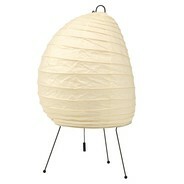 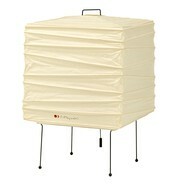 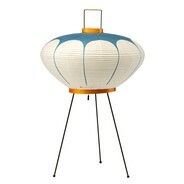 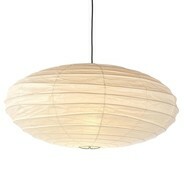 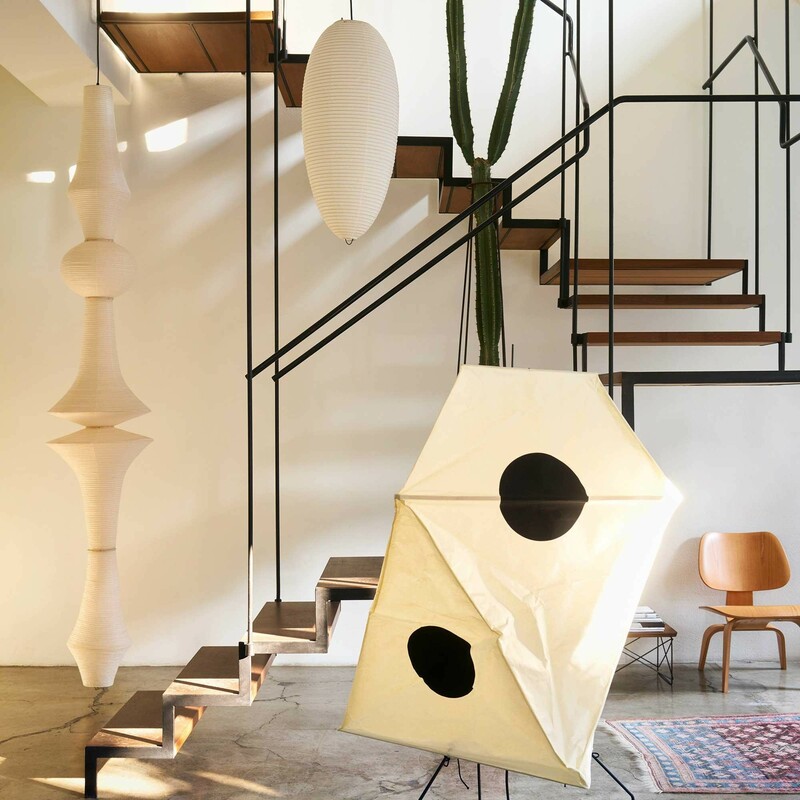 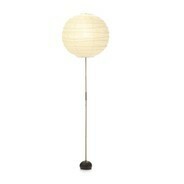 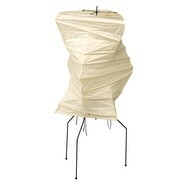 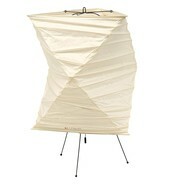 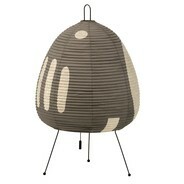 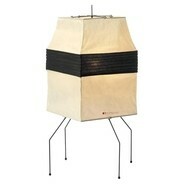 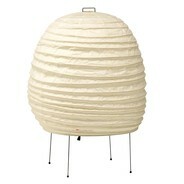 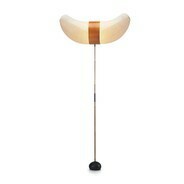 The Akari Lighting Sculptures by Vitra - also the Akari E Suspension Lamp - are made of Japanese shoji paper. 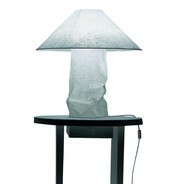 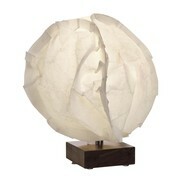 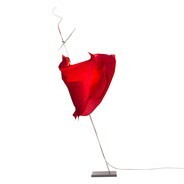 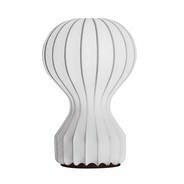 With this special material and the imaginative shapes of the Akari Light Sculptures every lamp becomes a piece of art. 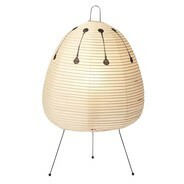 The Akari E Suspension Lamp by Vitra has a frame made of cast iron, the lamp shade is made of paper and is fixed to the supporting structure with bamboo. 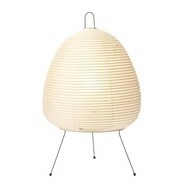 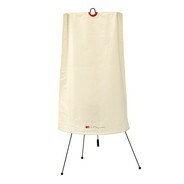 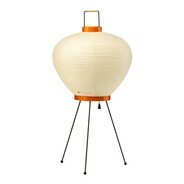 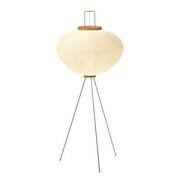 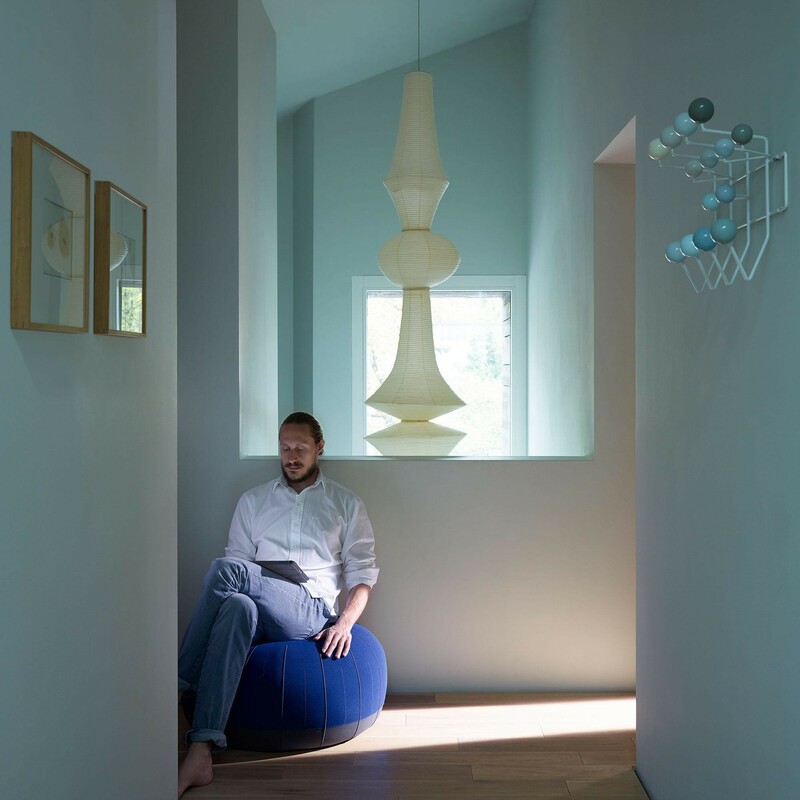 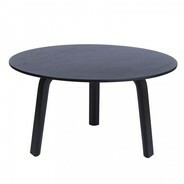 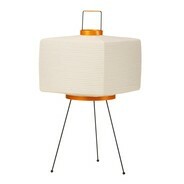 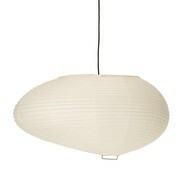 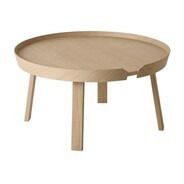 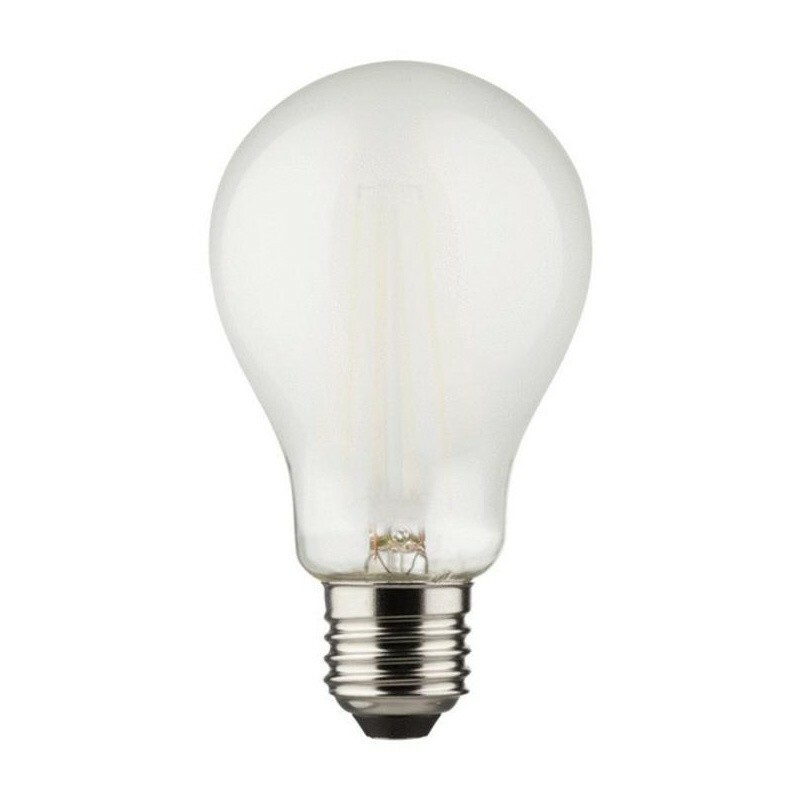 The lamp shade of the suspension lamp by Vitra is about 295 cm high and has a diameter of approx. 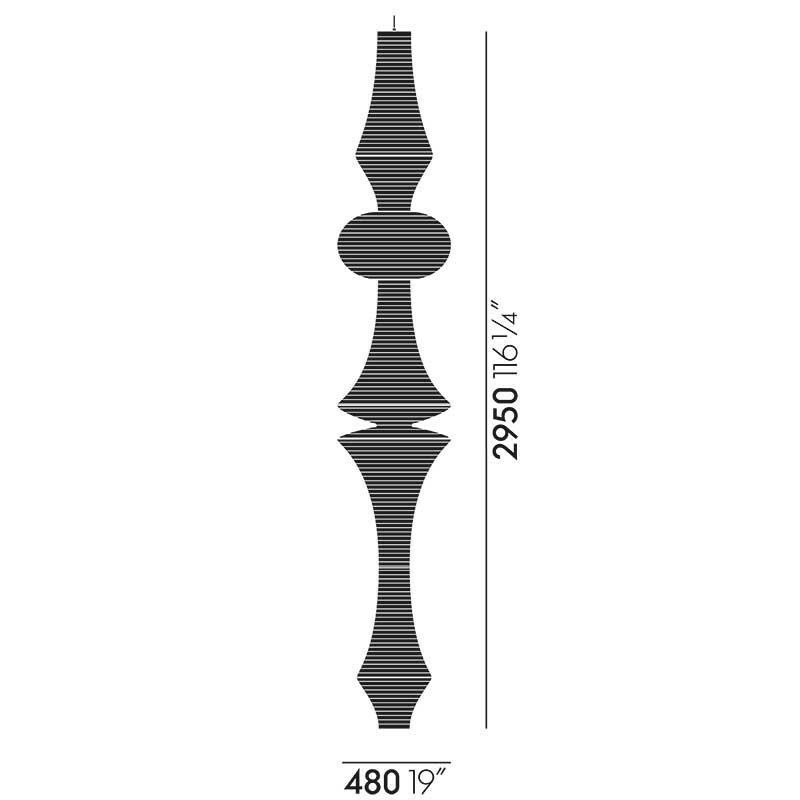 48 cm. 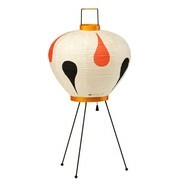 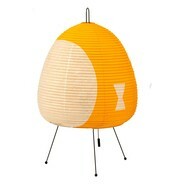 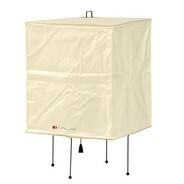 Other lamps from the Akari can be found in the "collection". 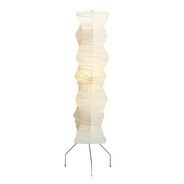 The Akari E Suspension Lamp by Vitra fully lives up to its name, for akari is Japanese for "brightness, light, and luminous"! 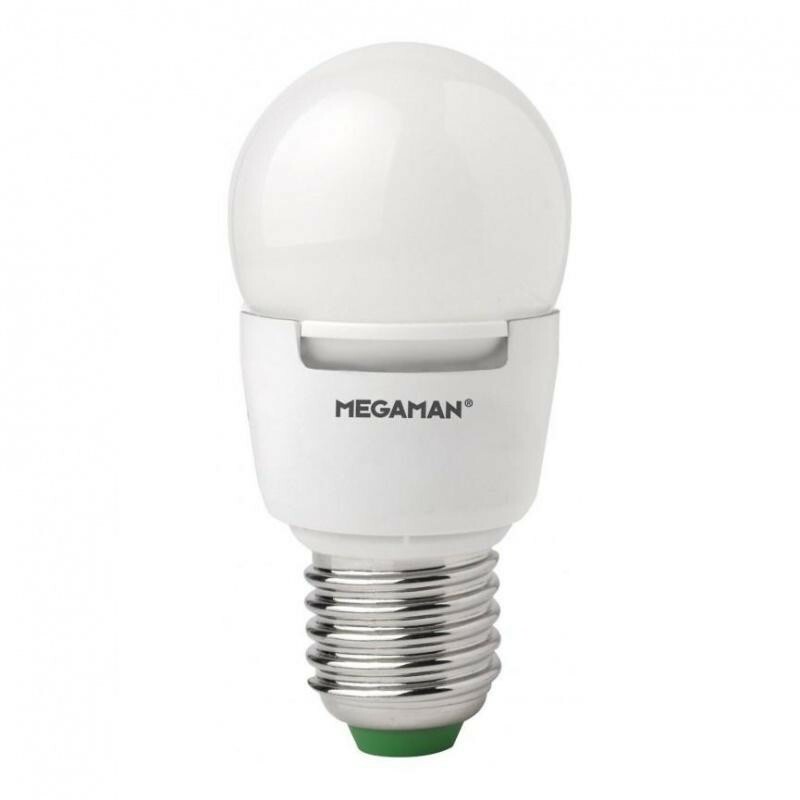 If desired, you can order the matching illuminant separately in "accessories & spare parts".